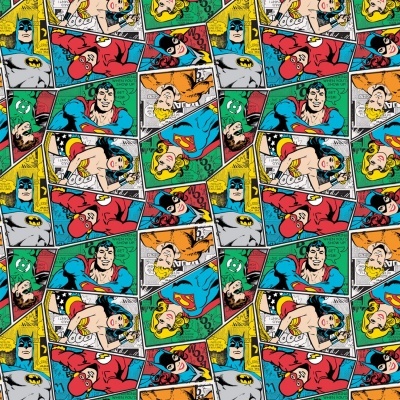 Retro comic design with DC characters, from the Camelot DC Comics cotton collection. 100% cotton. 110cm / 44'' Width, approx 150gsm. Multiples of a size will be cut as one piece unless requested otherwise. From a huge choice of fabrics, this was just what I was looking for. Great service, thank you.